Each gift box consists of an elegant outside box and several small octagonal boxes inside. 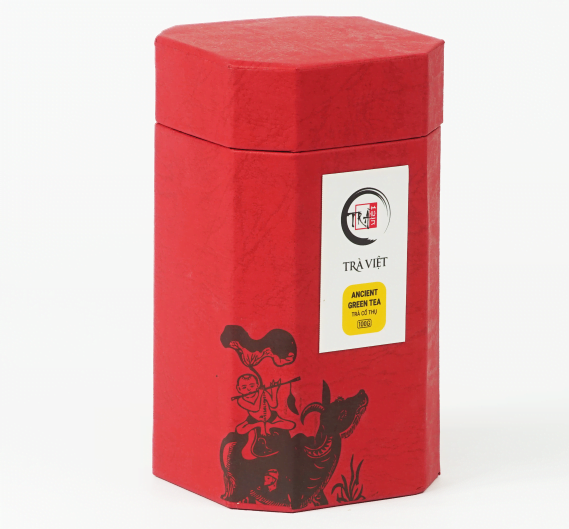 Every octagonal box has one carefully vacuum-sealed 100gr tea bag. 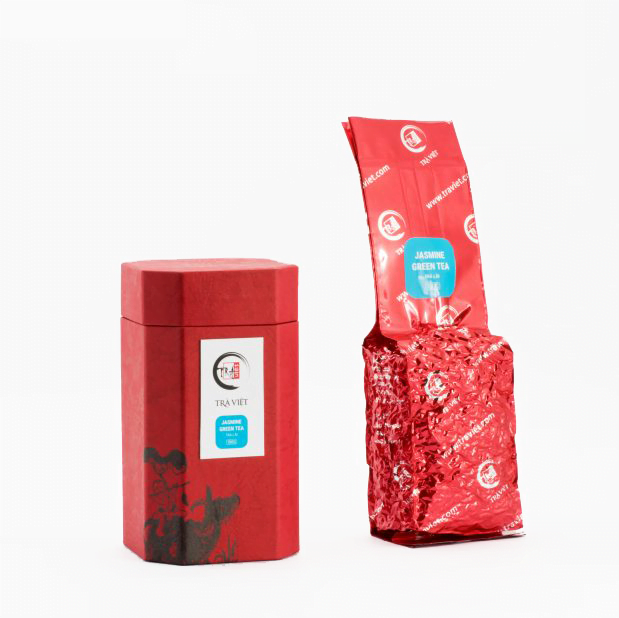 Not only does this method guarantee the quality of the tea, but also its shelf life. The dimensions of this box is 13.5 x 7.5 x 7.5cm. We use the high quality paper art to cover this box. Furthermore, Dong Ho traditional picture is so famous and unique in the North of Vietnam. Because of that, we decide to choose these pictures to make the pattern for this box. Inside this box, it contains 1 tea bag with packing 100g, 2 cards. First card is guide you how to brew tea and tea story. Second one is the tea benefits.